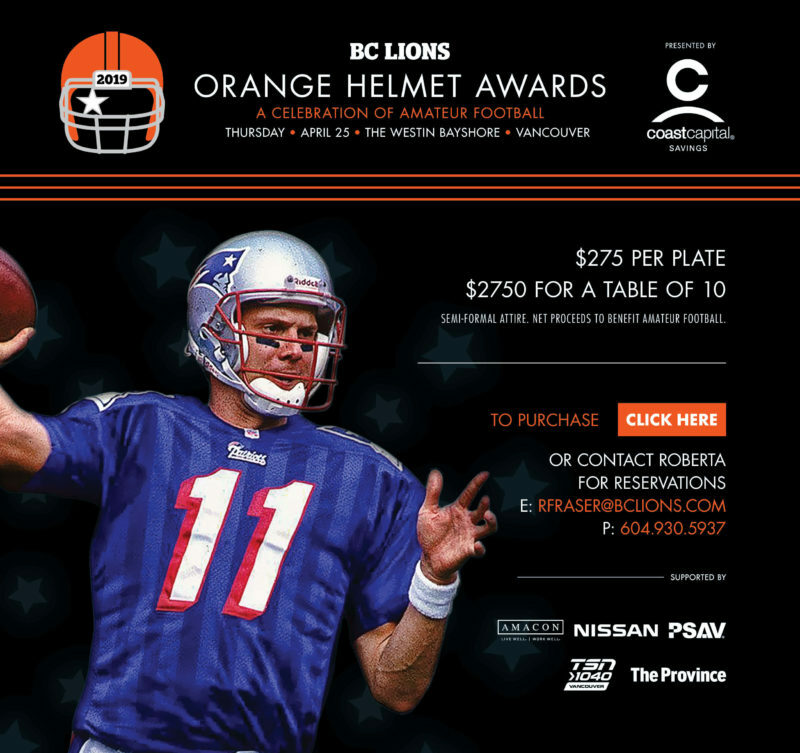 The Orange Helmet Awards dinner presented by Coast Capital Savings is a marquee event on the BC Lions calendar, with proceeds supporting amateur football in the province of British Columbia. The OHA dinner celebrates BC provincial champions at all levels of amateur football, plus pioneers of the sport, coaches and lifetime contributors to the game. Herschel Walker, Doug Flutie, Terrell Owens, Chris Berman, Daniel ‘Rudy’ Reuttiger and Anthony Calvillo. This year, the OHA dinner features four-time NFL Pro Bowl selection and Super Bowl Champion Drew Bledsoe. For more information on Drew Bledsoe click here.